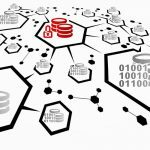 dns1.alwaysdata.com. 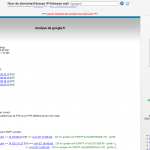 => 178.32.28.107 [FR] <=> dns1.roubaix1.alwaysdata.com. 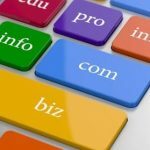 dns2.alwaysdata.com. => 62.210.66.148 [FR] <=> dns1.paris2.alwaysdata.com. welovemondays.fr. 300 IN MX 30 ASPMX2.GOOGLEMAIL.COM. welovemondays.fr. 300 IN MX 30 ASPMX3.GOOGLEMAIL.COM. welovemondays.fr. 300 IN MX 30 ASPMX4.GOOGLEMAIL.COM. welovemondays.fr. 300 IN MX 30 ASPMX5.GOOGLEMAIL.COM. welovemondays.fr. 300 IN MX 10 ASPMX.L.GOOGLE.COM. welovemondays.fr. 300 IN MX 20 ALT1.ASPMX.L.GOOGLE.COM. welovemondays.fr. 300 IN MX 20 ALT2.ASPMX.L.GOOGLE.COM. welovemondays.fr. 300 IN NS dns1.alwaysdata.COM. welovemondays.fr. 300 IN NS dns2.alwaysdata.COM. welovemondays.fr. 300 IN TXT "v=spf1 ?all"
alt1.aspmx.l.google.com. => 74.125.131.27 [US] <=> lu-in-f27.1e100.net. Le domaine n'accepte pas l'adresse abuse@welovemondays.fr. Le domaine n'accepte pas l'adresse postmaster@welovemondays.fr.